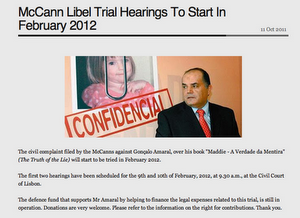 The McCanns Lost Yet Another Court Case Against Gonçalo Amaral - ALL Fees Paid From The Find Madeleine Fund- Something The British People Are Unaware Of Because The McCanns Are In Complete Control Of The British Media ! 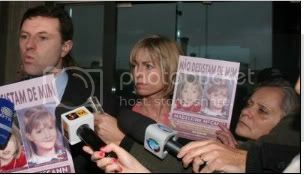 The deputy director of a popular Portuguese tabloid that distributed a DVD based on a documentary that claimed Madeleine McCann died tragically in a holiday apartment in the Algarve in May 2007 denied in court last week (February 10) that judicial secrecy had been broken. 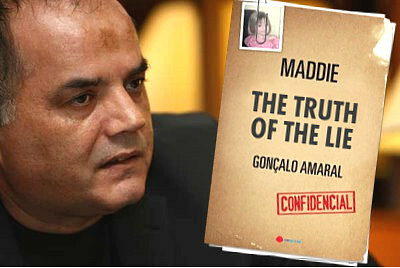 Eduardo Dâmaso, a witness at the injunction case that seeks to permanently ban publication and repetition of the book Maddie - A Verdade da Mentira (Maddie - the Truth of the Lie) and its thesis, said that the temporary injunction against dissemination of the book and its allegations was only made on September 9, 2009, more than a month after the DVD was sold through an edition of Correio da Manhã on July 29, 2009. The DVD is closely based on a documentary produced by Valentim de Carvalho Films. The film was aired on Portuguese television channel TVi on April 13, 2009 to coincide with the second anniversary of Madeleine’s disappearance from Praia da Luz on May 3, 2007. In court, Gonçalo Amaral’s lawyers argued that the case was archived by Portuguese police investigators on July 1, 2008 and that the official dispatch was finalised on July 29, 2008 and so neither the newspaper nor the film company and its distributors had breached either judicial secrecy, which had already expired, or the temporary injunction which was issued later. However, the McCanns’ legal team, headed by Isabel Duarte, argued that of the 75,000 DVDs produced, 10,868 sold and 63,369 withdrawn and destroyed, many could have continued to be sold at newspaper stalls. They also argued that the film appeared widely on the internet with English subtitles for the world to see. Luís Froes, general manager of Valentim de Carvalho Films, argued that the shelf life of a film was normally 15 days and then it would be withdrawn and destroyed. “The versions on the internet are not ours. They are pirate copies of the TVi programme. Someone must have recorded it and put in the subtitles - we don’t do that,” he said. It was also argued that there had been no violation of judicial secrecy because, as Gonçalo Amaral’s lawyers claimed, “everything that was in the book was in the investigation”. However, Isabel Duarte counter argued that although the case had been archived, it had not been closed and therefore the allegations made in the film and DVD “damaged the chances of finding Madeleine”, undermined the “physical and moral rights of the parents and her siblings and the good name of the family”. She also added that the book and documentary were produced as a “factual description rather than opinion” and criticised witness statements produced on behalf of Gonçalo Amaral as displaying a “degree of cynicism”. Defending Gonçalo Amaral, António Cabrita, asked what was so special about the book, when several other journalists and writers had written about the Madeleine Case. “Maybe there is a problem with the book because it is too close to the truth,” he said. The Guerra e Paz publisher’s lawyer also criticised the McCanns for using the media when it suited their ends but then tried to gag the media when their interest and investigations didn’t suit their line of argument. “Citizens should be concerned that a court may forbid Gonçalo Amaral to talk about the case. After all, he has the authority to speak about it because he was the Chief Investigator,” he said. The judge, Maria Gabriela Cunha Rodrigues, was due to make a ruling on the book yesterday (Thursday) at 10.30am.